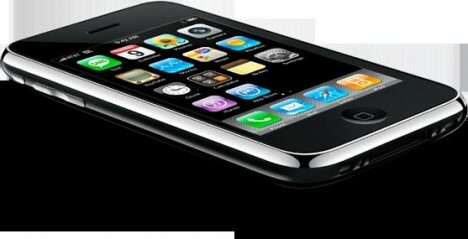 Can you believe that the new version of 3G iPhone costs less as compared to its predecessor EDGE based iPhone? This is possible based on speculation from famous Analyst, Potelligent that stated the new generation iPhone costs less than $100, which is only half of what has been taken to manufacture the first generation iPhone at $220 last year. You may wonder how can Apple Inc reduce the cost significantly regardless of some features enhancements such as GPS (Global Positioning System) and HSDPA (High Speed Downlink Package Access) modules being added into it. Thanks to its reengineering and strong negotiation power after the first successful launch of its first generation iPhone selling like a hot cake! Although not much information has been disclosed, but it is believed the MLC NAND flash pricing was slashed more than 50 percent, with current selling price of only $20 as compared to $50 last year. Besides, Apple may have able to further reduce additional $25 from the initial BOM (Bill of Material) based on what has been implemented in Apple’s iPod Touch. By simplifying the comparison process and adding in the new modules’ cost such as the HSDPA and GPS receiver, it only top up additional $15 and $5 respectively with further significant reduction in total BOM. Once you get down into low level BOM cost, you will understand why Apple can put its 3G iPhone at such a low retail price. This is not even inclusive those subsidy from service provider such as AT&T that may increase additional net profits up to next high level of around $400 depending on the subscription plan. One thing to take note here, the cost merely covers the hardware BOM cost without considering all those IP (Intellectual Property), development and software cost. So, it may be wise to consider all for more accurate estimation. Hopefully there is another round of iPhone Tear Down Analysis to be conducted by iSupplie as similar to first generation iPhone so that we can make better comparison later.